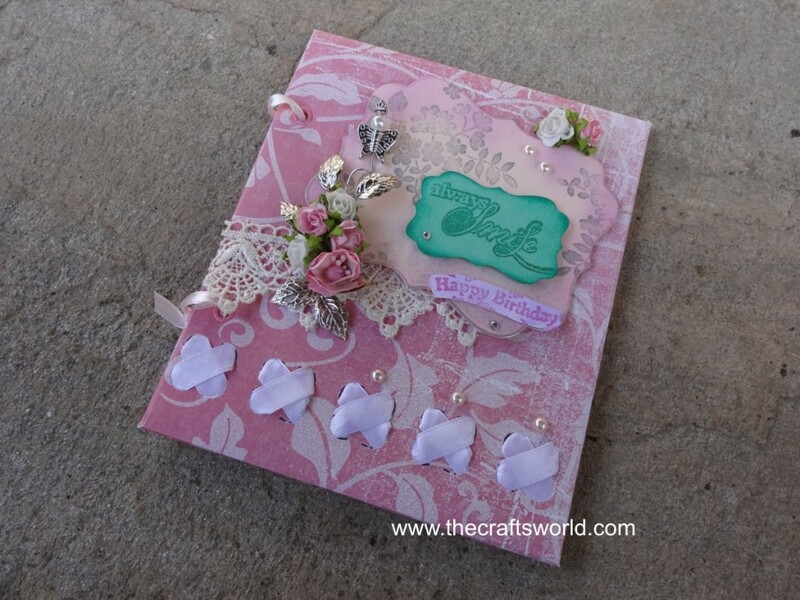 Greeting card made ​​of cardboard and decorated with paper, small flowers, ribbons, lace and metal sheets. 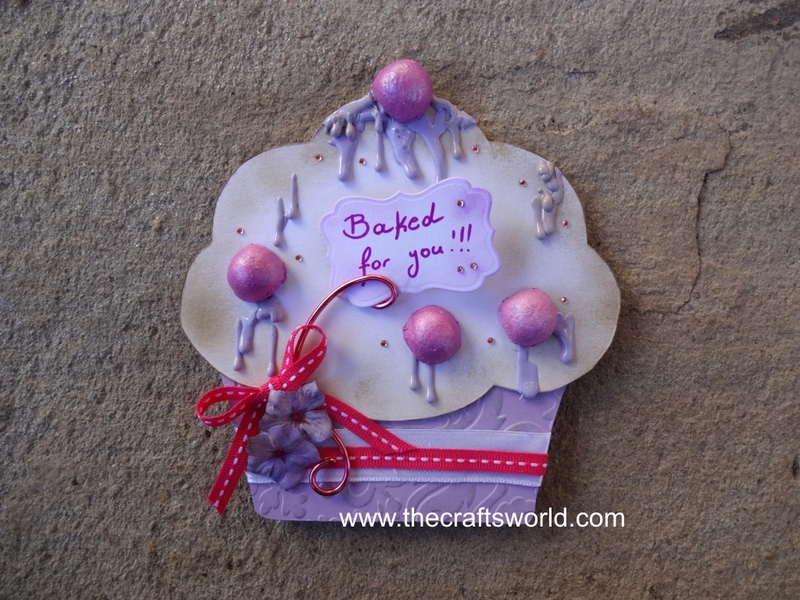 Embossed paper inside the card is used. Large greeting card made with cardboard, cloth and paper. Decorated with ribbon, rhinestones, and hand painted plaster teddy bear. 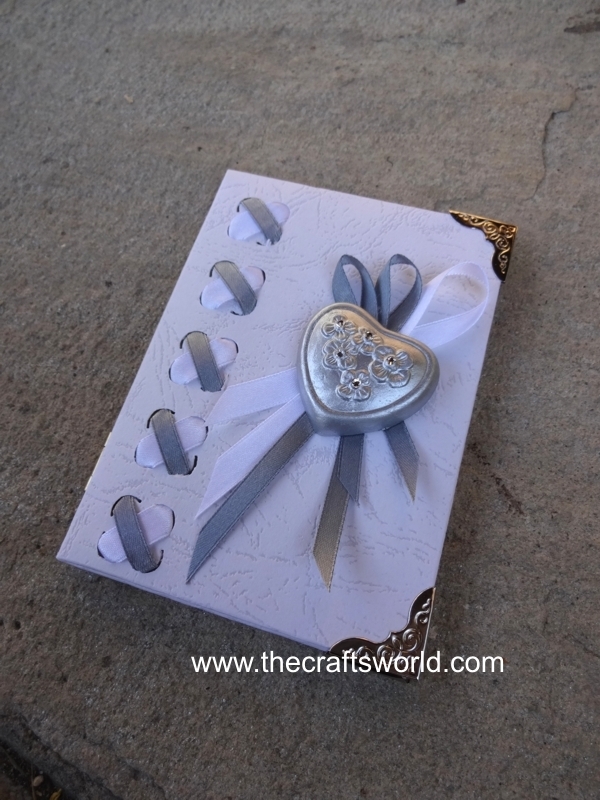 Greetings wedding card in metallic and white colors, decorated with ribbon, swarovski stones and heart made of plaster. Internally lined with embossed metal sheets. 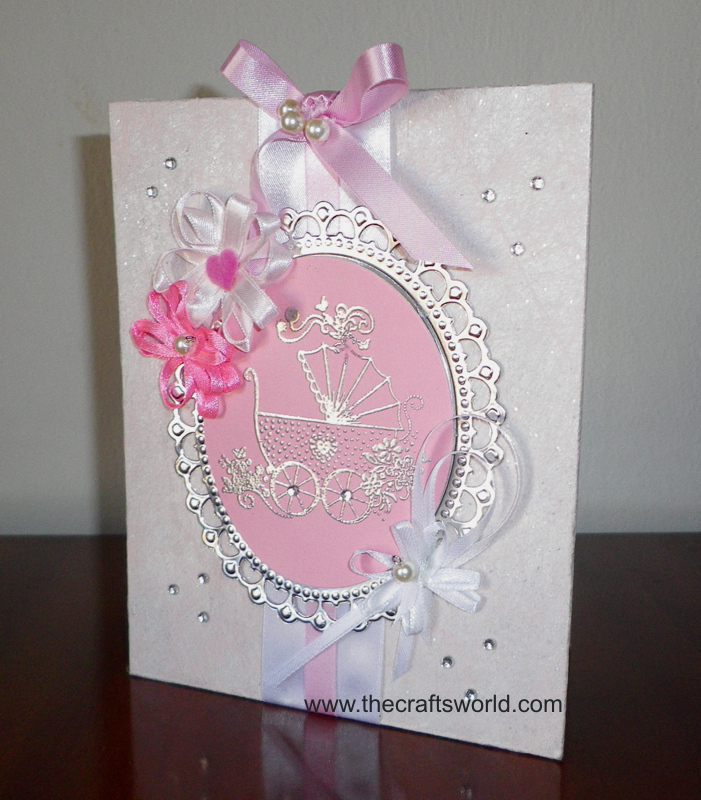 Card for baby girl made ​​of cardboard, lined paper – fabric and decorated with ribbons, pearls and rhinestones. Internally used embossed aluminum foil. 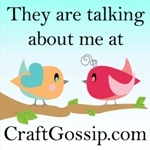 Various cards decorated with rhinestones, stamps and other embellishments. 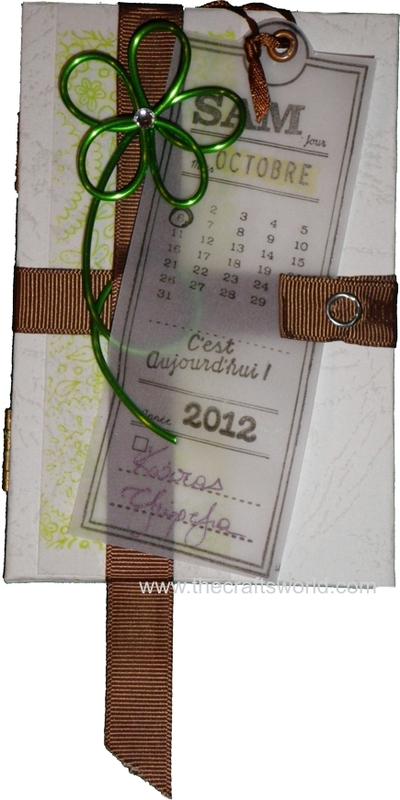 A wedding card with the names and the wedding day on a calendar that can be turned inside next to the wishes. Wishing card inside can be removed and replaced with a photo. 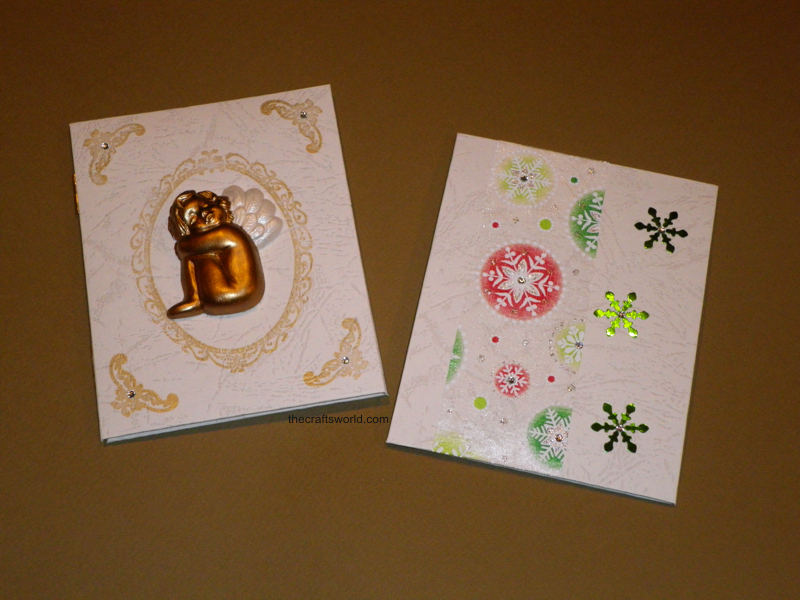 Metallic hinges hold the card’s sides.